To mark the close of the ski season, every Easter Weekend in April, the hill hosts its annual slush cup event. Competitors dressed in outrageous costumes attempt to ski or snow board across a pool of ice water. Most end up being dragged out of the pool by volunteer scuba divers before going to warm up in the hot tub. Prior to July 1993, Sun Peaks was known simply as Tod Mountain, named after the highest ski mountain at the resort which was named for John Tod, one of the most prominent fur traders assigned to the New Caledonia fur district. Having joined the Hudson's Bay Company in 1813, he was in charge of Fort McLeod from 1823 to 1832 and in charge of Fort Kamloops from 1841 to 1843. His retirement home, built in 1850, is the oldest inhabited house in BC. The first chair lift, the Burfield chair, as well as the Burfield lodge, opened in 1961. In 1968, the lift was damaged by fire and was forced to close for repairs until December 1970. In 1992, it was purchased by Nippon Cable Company Ltd. of Tokyo. 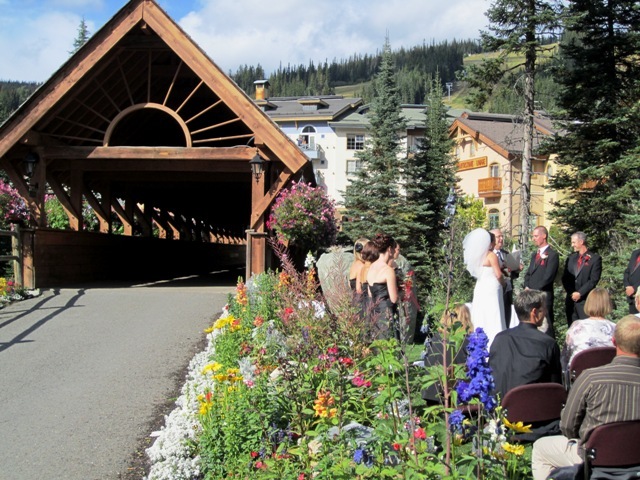 Since then, Ecosign Mountain Resort Planners has acted as the prime consultant and project planners for the transformation into Sun Peaks Resort. The summit of the ski area is at an elevation of 2,080 m (6,824 ft), with an 881 m (2,891 ft) vertical rise from the base of the peak. With 15 square kilometres (3,678 acres) of skiable terrain, Sun Peaks receives an average of 5.6 m (220 in) of snow per year. Comprised of three mountains, Tod Mountain, Sundance Mountain, and Mt. Morrisey, the resort has 11 lifts with a total capacity of 11,000 riders per hour. There are 122 runs, including 12 gladed areas and 40 km of cross country trails. 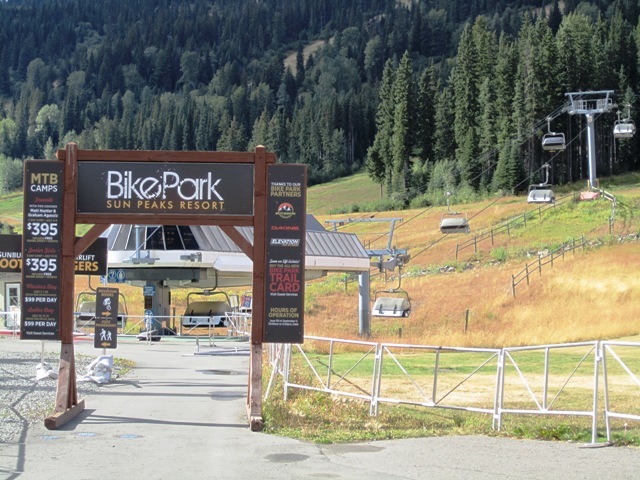 In the summer, Sun Peaks also operates a downhill mountain bike park with over 2000 vertical feet of terrain. The Sunburst Express quad chair takes riders to a park up top with over 29 trails to choose from. There is a hybrid of downhill and technical trails, mixing steeps with small drops and tight corners. The hill is also a popular area for hiking in the summer when the alpine flowers are in full bloom and if that’s not enough to keep you coming to Sun peaks year-round, it also boasts a 6,400 yard, 18-hole golf course that claims the title of the highest elevation course in British Columbia at over 1,200 meters above sea level. Don’t be surprised if you walk across the pedestrian bridge and come across a wedding in progress as the resort is a popular place to tie the knot. HOW TO GET THERE – From Kamloops head towards Jasper on the Yellowhead Highway and turn right at the Hefley Creek store and follow the signs. 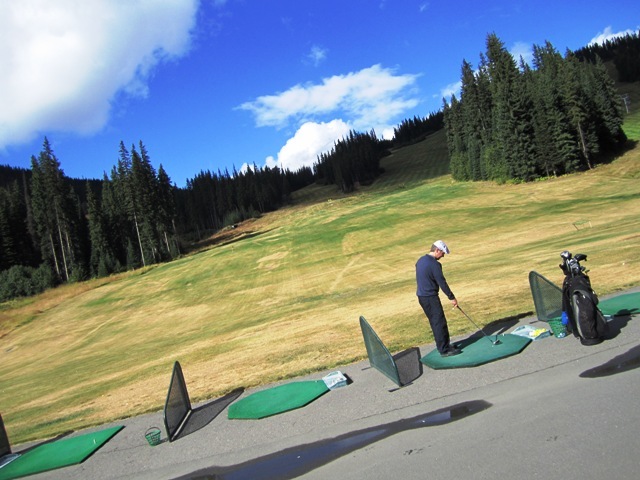 For more information on Sun Peaks and their upcoming year-round events, click on their logo!